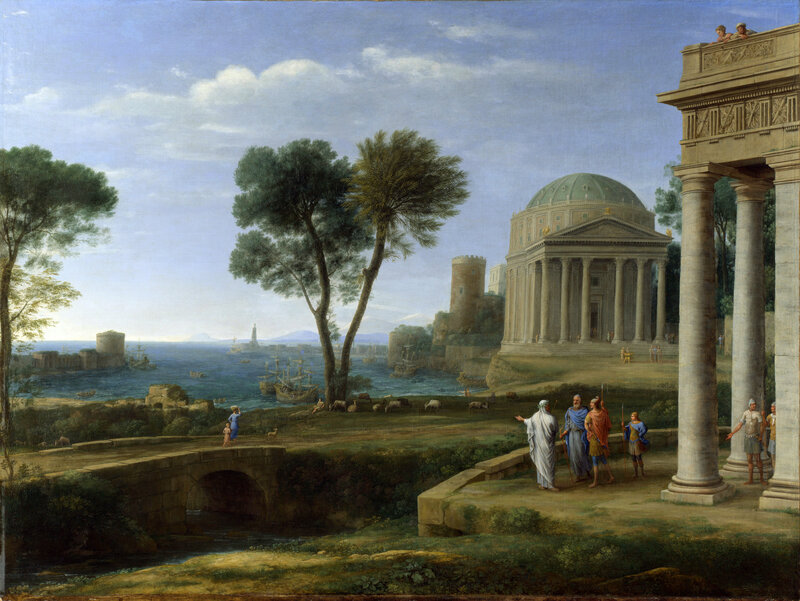 Claude Gellée (Lorrain) – The Hermitage Museum ГЭ-123. 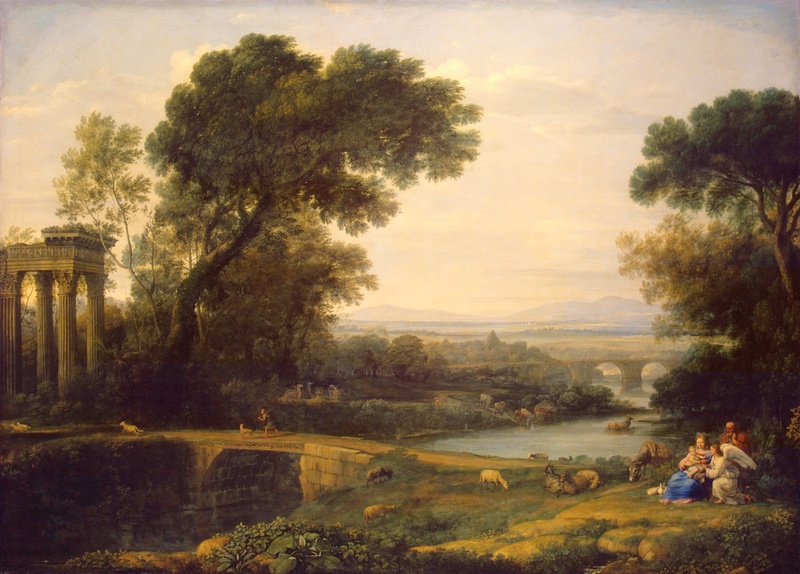 Title: Landscape with the rest on the Flight into Egypt (Noon). Date: 1661. Materials: oil on canvas. Dimensions: 116 x 159.6 cm. Nr. : ГЭ-1235. 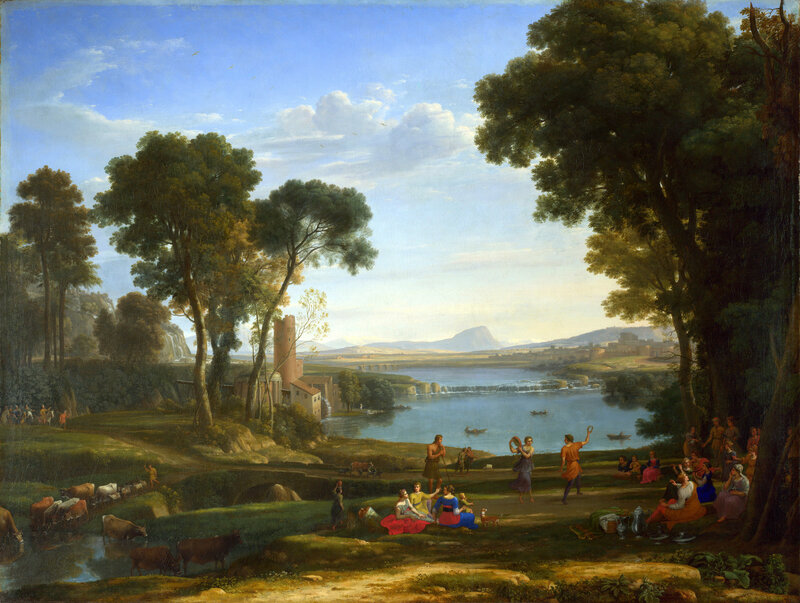 Source: http://hermitage–www.hermitagemuseum.org/wps/portal/hermitage/digital-collection/01.+paintings/36651. I have changed the light and contrast of the original photo. Claude Gellée (Lorrain) – The Hermitage Museum ГЭ-1225. 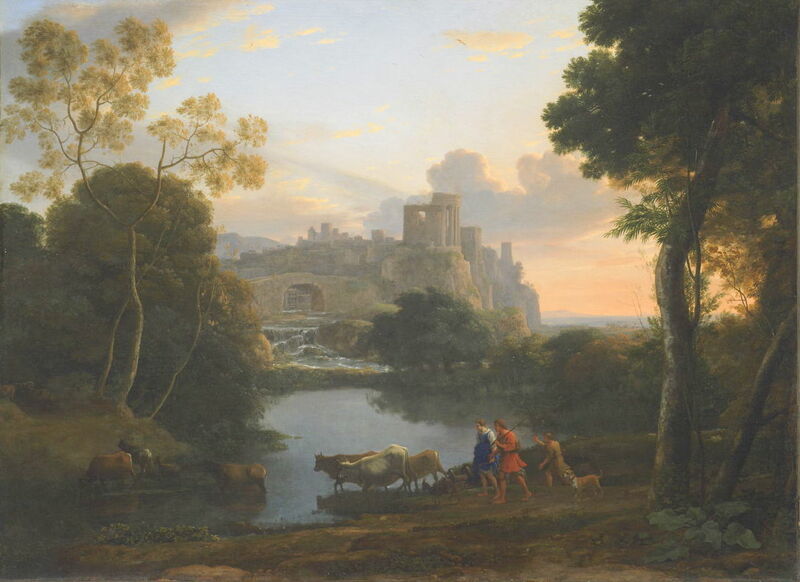 Title: Italian Landscape. Date: 1648. Materials: oil on canvas. Dimensions: 75 x 100 cm. Nr. : ГЭ-1225. 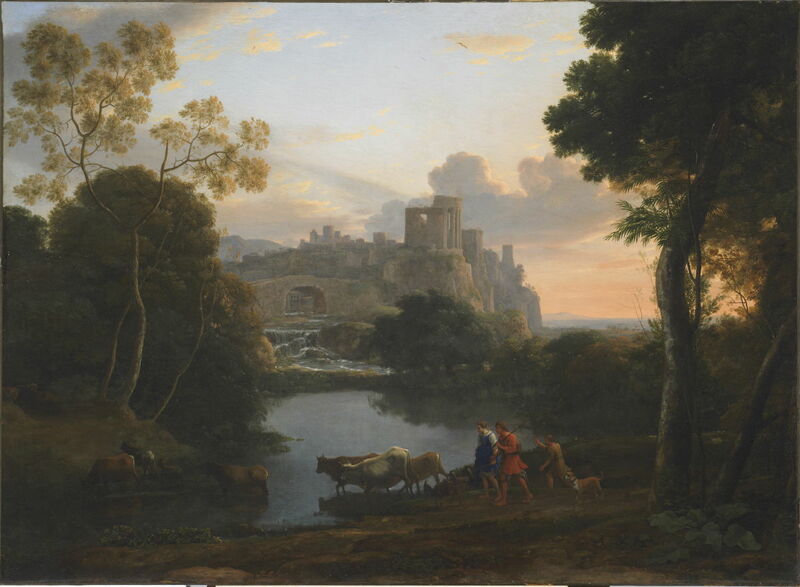 Source: http://hermitage–www.hermitagemuseum.org/wps/wcm/connect/53de8ee1-4658-4193-860a-3f5627b58040/WOA_IMAGE_1.jpg?MOD=AJPERES&cd1ab6b6-586b-4355-a8e6-595d13024ea1. I have changed the light, contrast and colors of the original photo. Claude Gellée (Lorrain) – Art Gallery of South Australia 857P16. 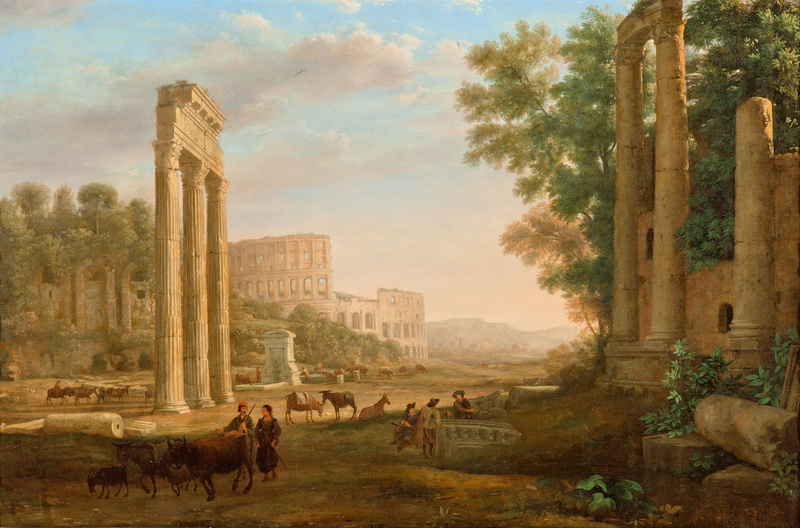 Title: Capriccio with Ruins of the Roman Forum. Date: c. 1634. Materials: oil on canvas. Dimensions: 79.7 x 118.8 cm. Nr. : 857P16. 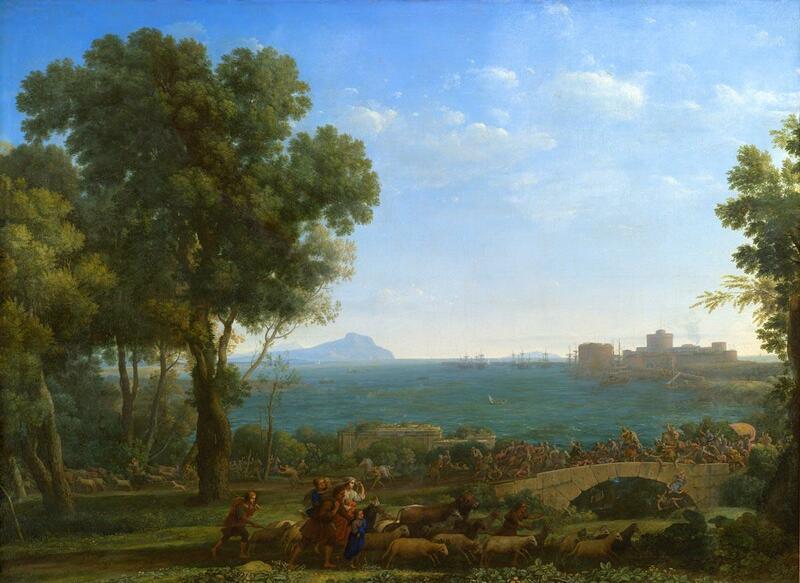 Source: https://upload.wikimedia.org/wikipedia/commons/5/5d/Claude_Lorrain_-_Capriccio_with_ruins_of_the_Roman_Forum_-_Google_Art_Project.jpg. I have changed the light and contrast of the original photo. 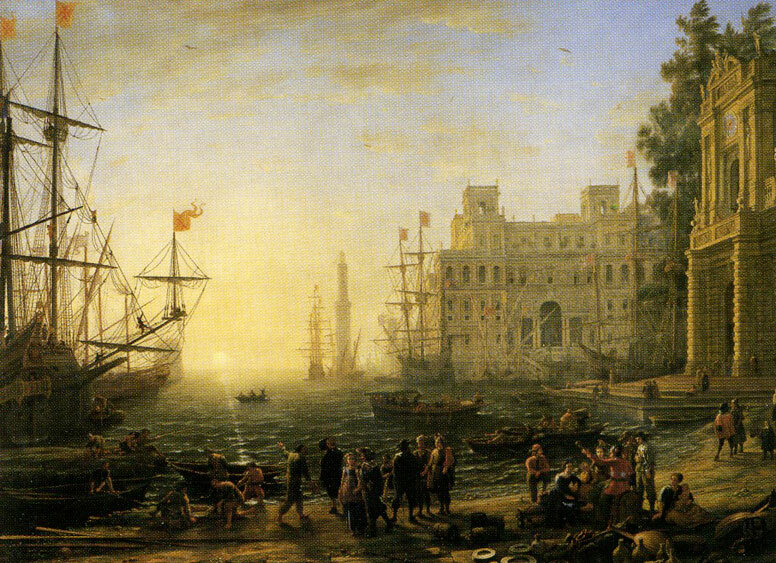 Claude Gellée (Lorrain) – The National Gallery (London) NG1018. 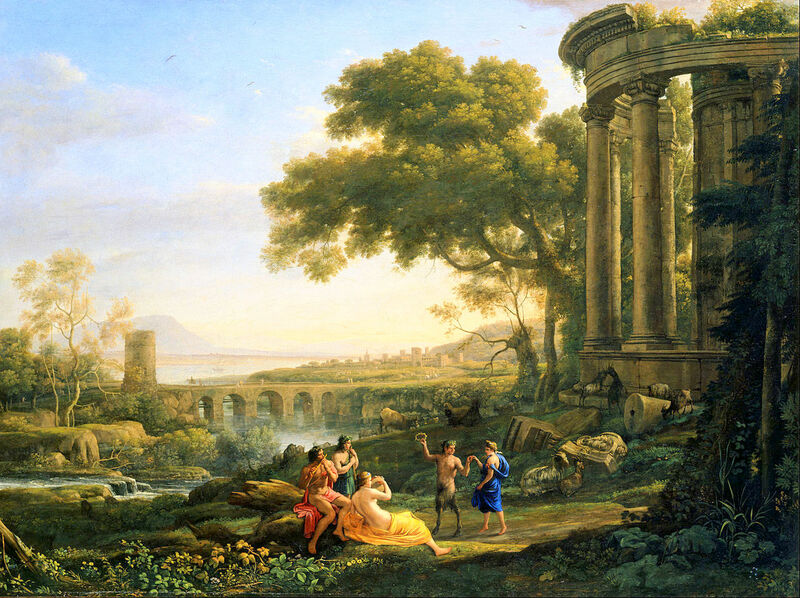 Title: Landscape with Aeneas at Delos. Date: 1672. Materials: oil on canvas. Dimensions: 100 x 134 cm. Nr. : NG1018. Source: https://s019.radikal.ru/i608/1206/8d/7807b4ae6b5d.jpg. I have changed the light and contrast of the original photo. 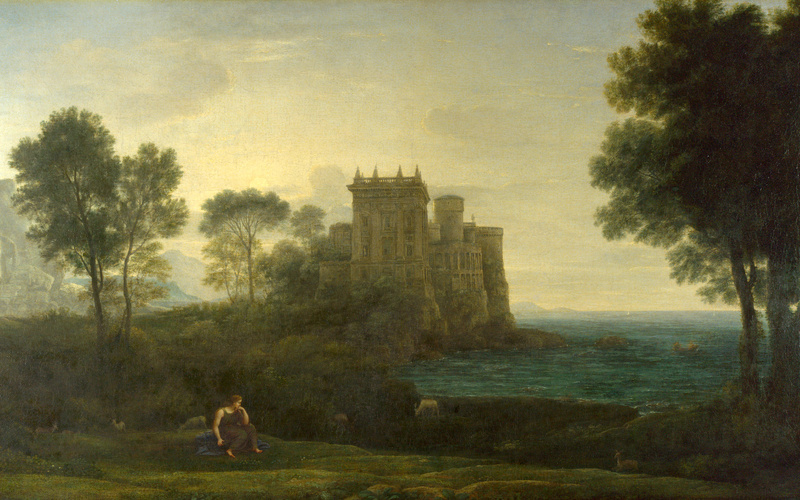 Claude Gellée (Lorrain) – The National Gallery (London) NG6471. 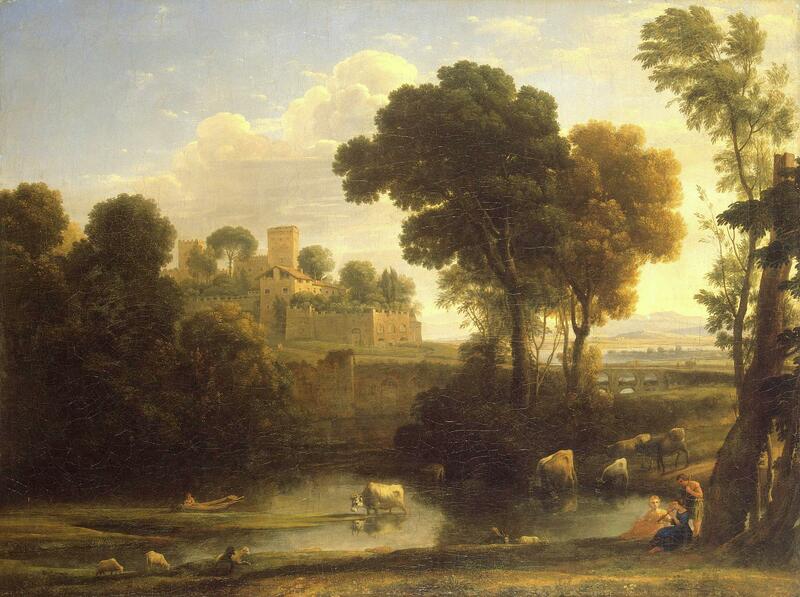 Title: Landscape with Psyche outside the Palace of Cupid (‘The Enchanted Castle’). Date: 1664. Materials: oil on canvas. Dimensions: 87.1 x 151.3 cm. Nr. NG6471. Source: https://commons.wikimedia.org/wiki/File:Psych%C3%A9_devant_le_palais_de_l%E2%80%99Amour_-_Claude_Gell%C3%A9e.jpg. I have changed the light and contrast of the original photo.